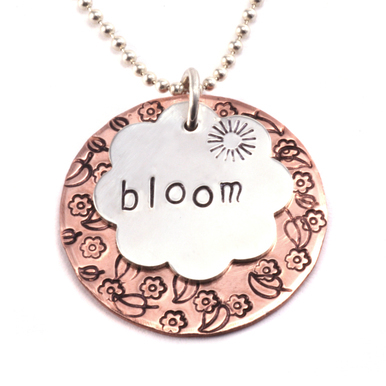 What a great way to display three names on a necklace! We used our 1.20" recantgle blanks and punched additional holes so we could connect one name below the other. Use all one metal, or switch it up and use a variety of metals like we did here!